The McCall Music Society board is composed of dedicated and hard-working volunteers. Every board member is a subscriber and donor to the Society. Each has a specific area of responsibility and plays an active part in planning and implementing the functions of the organization. Since the Society has no paid staff, the work they do is key to the efficient operation of the society and the valuable service and quality musical programs provided to our community. There is no requirement for board members to be musicians, only to have a love of music and a willingness to work toward the goals of the McCall Music Society. Board directors are elected at the general membership meeting that takes place in the fall — usually late October or November. All MMS members are welcome to attend monthly board meetings. We hope you will enjoy meeting the current board members as they introduce themselves. 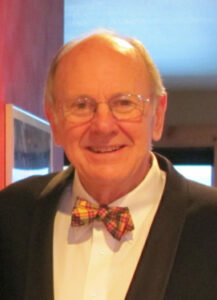 Surbeck is a member and Treasurer of St Andrew’s Episcopal Church in McCall and is a member of the McCall Rotary Club. 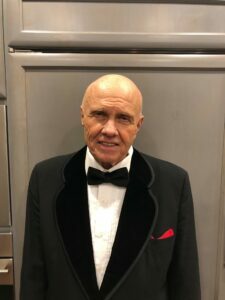 He and his wife Margaret are parents of four children and have eight grandchildren. Bob attributes his great appreciation for music to the cultural influences of both growing up in Ann Arbor and attending Indiana University. That appreciation continues to be enhanced by McCall Music Society! 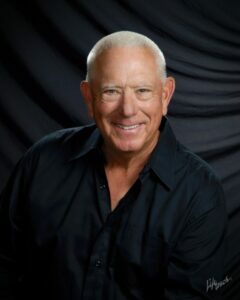 Rey Vertrees is an Idaho native who moved to McCall from the Chicago area in 2006 when he retired from Boise Cascade/Office Max, where he worked in Human Resources. He is a graduate of The College of Idaho and George Washington University. Music was an integral part of Rey’s life in high school, college and for a few years afterwards, but the time constraints of working and raising a family created a 25 plus year interruption. After retirement he picked up his trumpet and started playing again. Today he is part of the McCall Orchestra, plays at church and attends a week long music retreat each summer in Walla Walla, WA. Rey and his wife Cinda have owned a home in McCall since 1994. They have two married sons and three grandchildren. Rey and Cinda have been known to travel around the Northwest to attend concerts and music festivals. In addition to music, Rey spends his time snow skiing, biking, flat water kayaking and working around the yard. Chris hails from Cleveland, Ohio and moved to McCall in 2008. 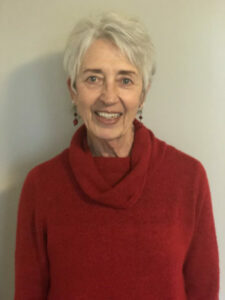 Music has been an integral part of her life: singing since high school and participating in music ensembles at various Ohio and Kentucky churches for over 30 years. A degree in Mass Communication from Cleveland State University eventually led to an 11-year position at Kleier Communications in Louisville, Kentucky, where she was an advertising account coordinator, then a project manager. Since settling in McCall, Chris has sung with the McCall Concert Singers and become involved with the Blackhawk Ranch community. In addition to music, she enjoys skiing, hiking and traveling with her husband, Tim. Larry Zgonc is a retired teacher, conductor, and musician. 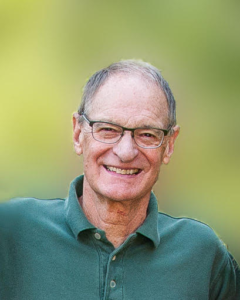 He taught at Arizona State University, University of Arizona, was a co-founder at Mount hood Community College and has taught at all grade levels. He was the Conductor of the Phoenix Youth Symphony, the Arizona State University ballet, the Portland youth assistant conductor and the founder of the Mount Hood Community College orchestras . He was the teacher of the year for the American String Teachers nationally and the National School Orchestra Association, and Mount Hood Community College. Larry currently manages the McCall SummerFest orchestra. I’ve always had a heart for music, beginning with tap dancing and singing performances at age 4 and starting piano lessons at ten. I sang in church choirs almost continually up to the present. My wife, Bev, and I have lived in McCall since 1997, full-time since 2010. The McCall Music Society has been one of our favorite charities. My professional career was in the defense electronics field, designing, producing and fielding communications, radar and air defense systems for the US and NATO governments, working for Hughes Aircraft Company and its following entity, Raytheon. My last position prior to retirement was as Program Director for the development of the Norwegian Advanced Air Defense Missile System. Activities included making a survey of Norwegian industry to identify potential partners in a joint venture, and managing proposals valued in the 100s of millions of dollars. Mary Lou Rush is an Idaho native who was raised in Eastern Idaho and graduated from the College of Idaho. After spending five years teaching in the Arctic, she, her husband, Jim, and their two daughters returned to McCall permanently in 1975. Mary Lou taught in the McCall-Donnelly Schools for over 25 years. She was an Elementary classroom teacher with endorsements in visual arts and dance. She was involved in developing curriculum and training teachers in both these areas for the Idaho Sate Department of Education. She and her family have been involved in the Music Society since its inception. Her daughters were members of the original orchestra and two of the first elementary violin students in McCall. She has been an advocate of the arts-visual, theatre, literary, dance,and musical- for as long as she can remember. She is an avid gardener who also enjoys hiking, biking, tennis, white water rafting, and traveling.